Heat pump technology is not new, although it is still lesser-known to many. In fact, it is the same technology your refrigerator uses to keep your food cold, safe and fresh! In past decades, heat pumps have been less common in colder climates like Canada’s. Today, this is starting to change. Heat pumps have a lot to offer, from lowering your heating and cooling bills to lessening your impact on the environment. In this article, we review the different types of heat pumps and what each has to offer so you can pick the one that is best for you. Switching to a Heat Pump Can Save You a Lot! According to the Department of Energy, a heat pump has the ability to provide the same basic heating and cooling for as little as one-quarter of the cost of what you pay to have a traditional air conditioner and furnace system do that job. What might that look like in terms of annual cost savings? Let’s take a look! According to the Financial Accountability Office of Ontario, the average Ontario-area homeowner pays $2,358 per year for energy. Natural Resources Canada reports that, on average, heating consumes around 61 percent of household energy use and cooling consumes 3 percent of the same, adding up to 64 percent. What this means is the typical Ontarian spends around $1,509 annually for heating and cooling. If this is true for you, imagine now that you have switched to a heat pump for your heating and cooling needs. This trims three-quarters of your costs, leaving you with an annual bill of just $377. Now it is easier to see why heat pumps are starting to catch on in a big way here in Canada! There are three main types of heat pumps in use for residential spaces today. They are the air-to-air heat pump, the water source heat pump and the geothermal heat pump. While each type of heat pump does the same basic thing, how they get the energy to do their work is slightly different. This difference can make one type of heat pump a better fit for certain spaces than the others. The air-to-air heat pump, as its name suggests, “pumps” or moves heat energy in the air from one place to the other. For example, in summer, an air-to-air heat pump moves heat energy out of your home to keep it cooler. In the winter, the process reverses: the heat pump moves heat energy from outside air into your home to pre-warm the air and keep your house warmer. Air-to-air heat pumps are the least efficient of the three types of heat pumps, but they can still trim a whopping 50 percent off of your annual heating and cooling bills. Another perk is that this type of heat pump can help to move excess humidity out of your home to reduce the threat of mould and mildew. Another advantage to this type of heat pump is that it comes in a ductless mini-split version. The water source heat pump comes in two forms. One type is an air-to-air heat pump that heats and cools water rather than air. This type is called a “reverse cycle chiller” and can be used with existing radiant floor heating systems. A second type of water source heat pump is a geothermal heat pump designed to move energy to and from a water source rather than the ground (hence the name). A water source heat pump is going to be more efficient than an air-to-air heat pump, trimming up to 60 percent off your annual heating and cooling bill. A geothermal heat pump moves energy to and from the ground. Sometimes called a ground source heat pump, it can trim your energy bill by 60 percent or more and also help with balancing indoor air humidity levels year-round. There are two basic configurations to choose from with a geothermal heat pump: horizontal or vertical. The latter is best for residences where land space is at a premium. What About a Heat Pump + Hot Water Heater? Today’s heat pump technology is evolving quite rapidly and exploring many new ways to recycle energy that might otherwise be wasted. Some heat pumps can be equipped with a device called a “de-superheater,” which recycles heat energy to heat your water two or even three times more efficiently than a traditional tank hot water heater. There are a number of additional perks built into many of today’s heat pump systems. Some heat pumps designed for use in extremely cold climates have a built-in backup electric resistance heater or backup burner that will automatically take over should the need arise. Fuel options for a backup burner heat pump include oil, natural gas, propane, coal or wood. Other heat pumps have unique motors that help maximize useful air flow while minimizing drafts and noise. Still others have what’s called a scroll compressor, which boosts efficiency and operating life while minimizing noise. Today’s heat pumps can also integrate with zone systems just like traditional HVAC systems to help you conserve on heating and cooling costs in unused rooms. Get Rebates or Credits for Converting to a Heat Pump! Government or carrier rebates and incentives are often available for customers who convert to a heat pump. We can help you select and apply for all available incentives you qualify for. 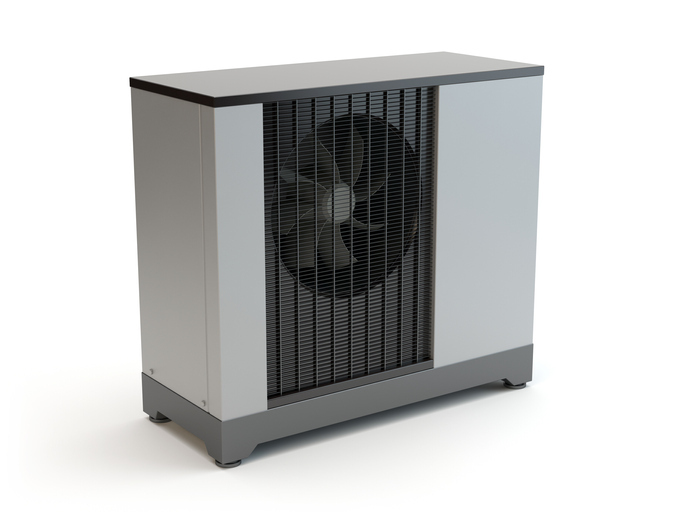 Here at Bi-Temp, we are proud to offer the Carrier and Mitsubishi heat pump lines. Contact us for help determining which type of heat pump system is right for you. Give us a call at 1-613-967-1066 or visit us online.